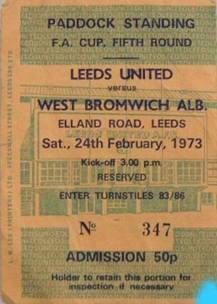 Date: Saturday, 24th February 1973. Competition: FA Cup Fifth Round. 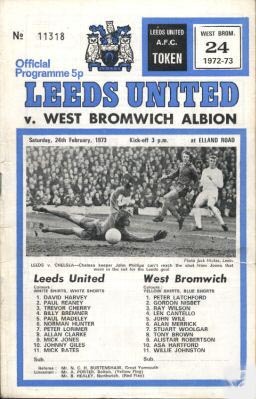 Score: Leeds United 2 West Bromwich Albion 0. 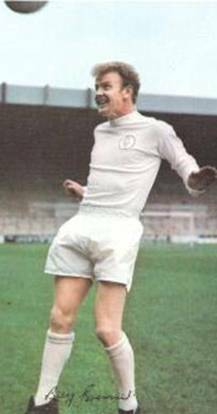 Scorers: Leeds United: Clarke (2). 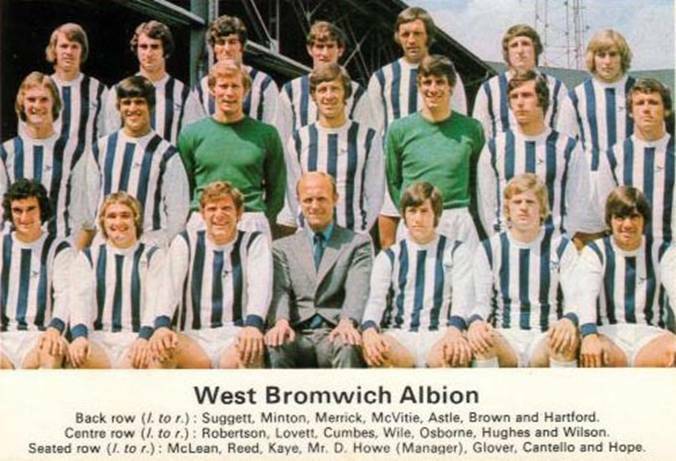 West Bromwich Albion: Nil. 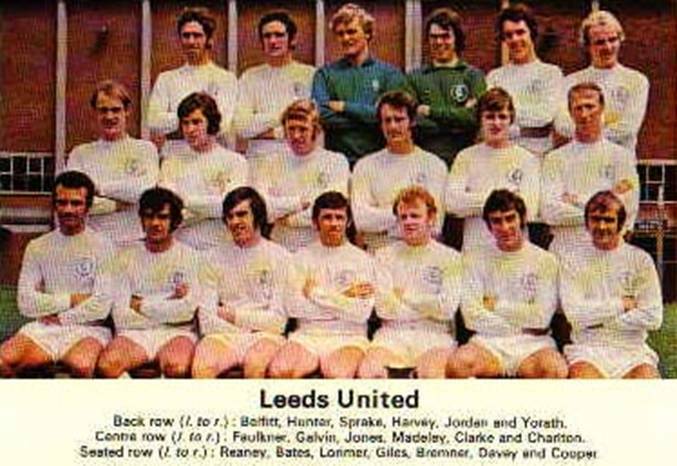 Leeds United: Harvey; Reaney, Cherry; Bremner, Madeley, Hunter; Lorimer, Clarke, Jones, Giles, E. Gray. 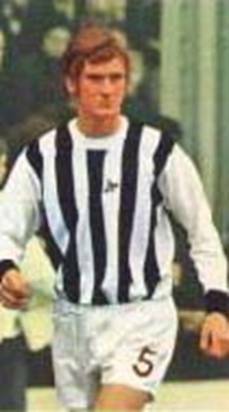 Unused Sub: McQueen. 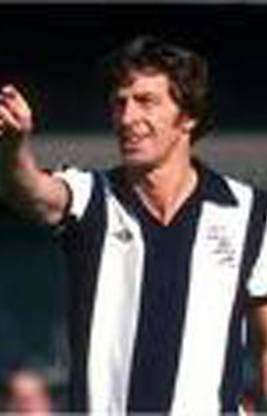 West Bromwich Albion: Latchford; Nisbet (A.Brown), Wilson; Cantello, Wile, Robertson; Merrick, T. Brown, Astle, Hartford, Johnston. Referee: N.C.H. Burtenshaw (Great Yarmouth, Norfolk). 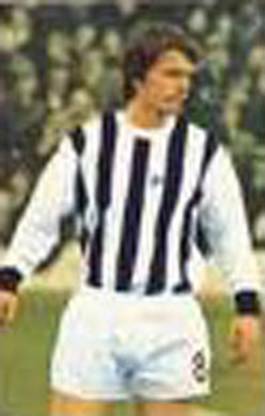 West Bromwich Albion had fallen from grace as their Cup-Winning team had been slowly dismantled. 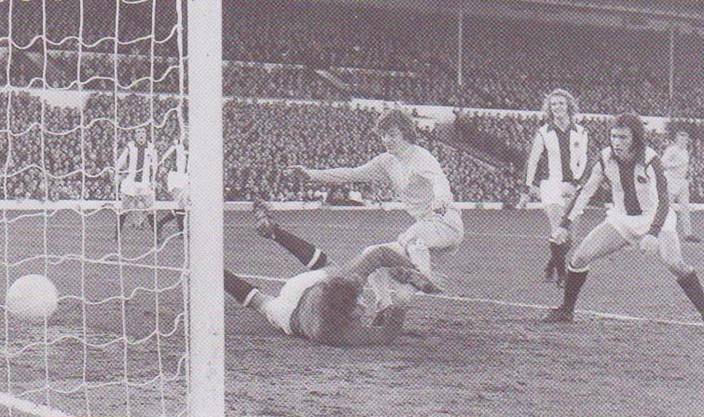 United had already beaten them 2-0 at Elland Road earlier in the season and saw their visit as a good chance to progress towards Wembley. 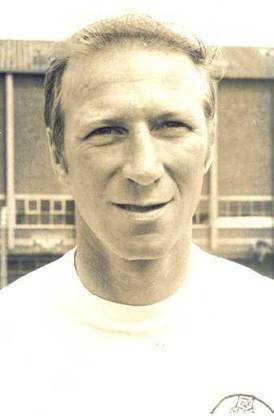 United were still without the injured Jack Charlton but the Scottish duo of Billy Bremner and Eddie Gray were back after long layoffs and United were close to full strength. 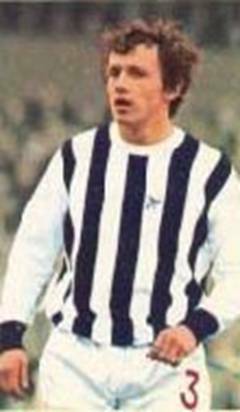 West Brom had did not have the likes of Bobby Hope, John Osborne and Colin Suggett but still had Jeff Astle, Tony Brown, Asa Hartford, and had recently bought Willie Johnston from Rangers. 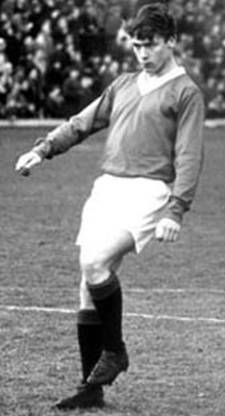 They still had a few stars and were not to be taken too lightly. 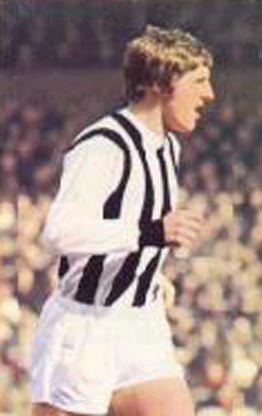 Allan Clarke’s hot scoring form in the FA Cup continued as he scored both United’s goals as they won without too much trouble to reach the Quarter-Finals and while they were still well in touch in the League they were starting to drop behind Liverpool and the Cup seemed United’s best chance for success on the domestic front. 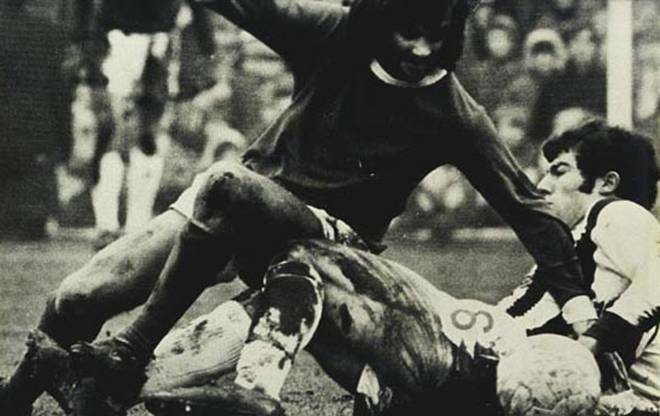 ‘Sniffer’s’ sharpness in front of goal enabled him to pounce on two goalkeeping errors by Peter Latchford to see United to a comfortable win. 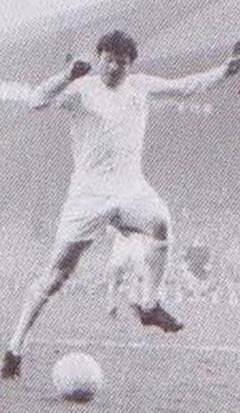 His ability to be in the right place at the right time was perfectly illustrated as he collected two goals in two minutes. 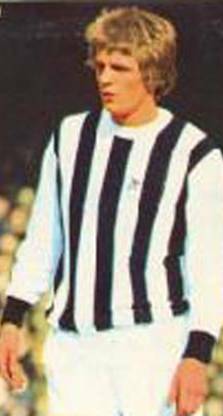 He struck after twenty-eight minutes when he got up at the far post to head Peter Lorimer’s right wing cross towards goal. 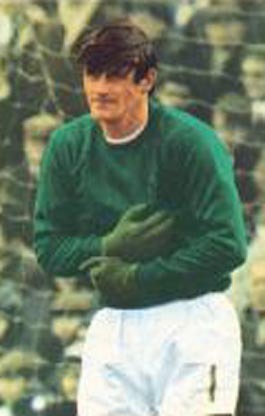 Latchford failed to hang on to the ball and, as it dropped to the ground, the United striker showed his lightning reflexes to hook the ball into the net. 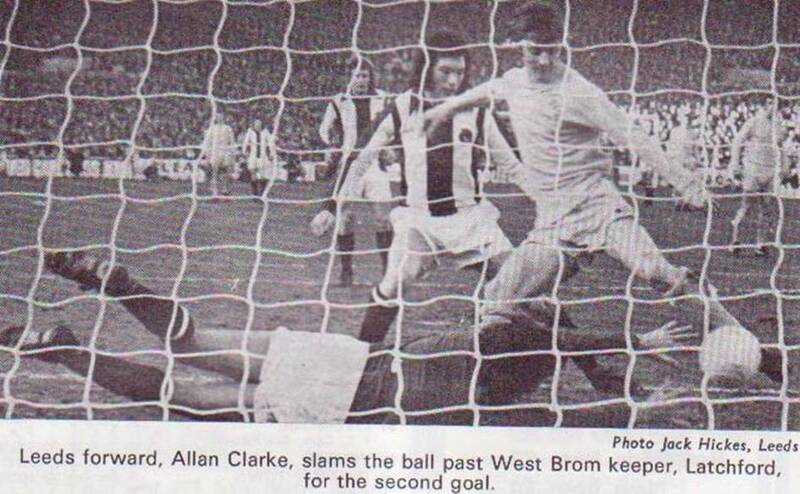 Clarke was soon on the goal scent again to punish another Latchford error. 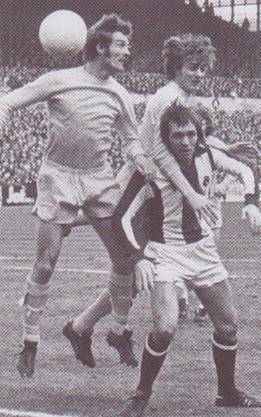 This time Peter Lorimer drove in a fierce shot from the angle of the penalty area, luckless Latchford got down to the ball but spilled it as he hit the ground and the predatory Clarke slotted it in from close range. 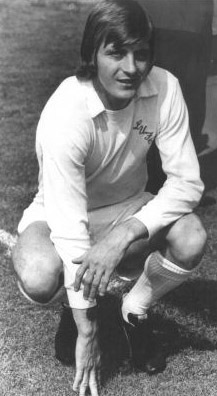 He then went off for a few minutes but returned with a heavily bandaged leg, keen to ferret out his hat-trick goal, but good saves by Latchford prevented him, and Mick Jones, from increasing United’s lead in a one-sided match. 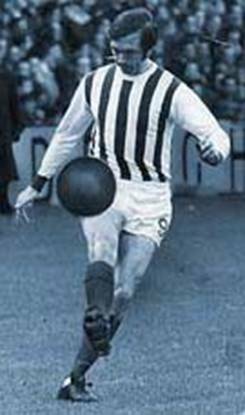 Apart from Clarke’s deadly finishing there was a bonus for United in the shape of Eddie Gray, who marked his first outing in three months after injury with some clever intricate dribbling on his favourite left wing. 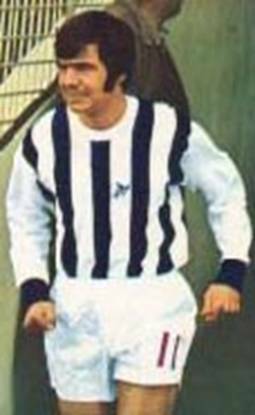 Another comeback man was West Brom’s England International Jeff Astle, making his first senior appearance for ten months, but unlike Clarke he had no chance to show what he could do in front of goal. 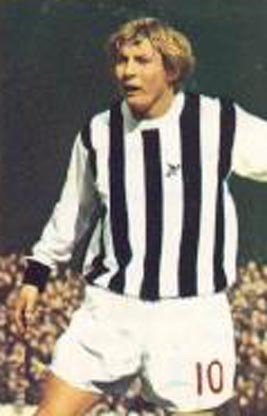 Albion’s boss Don Howe, was later to be appointed coach at Elland Road in October 1975 after a spell working in Turkey.